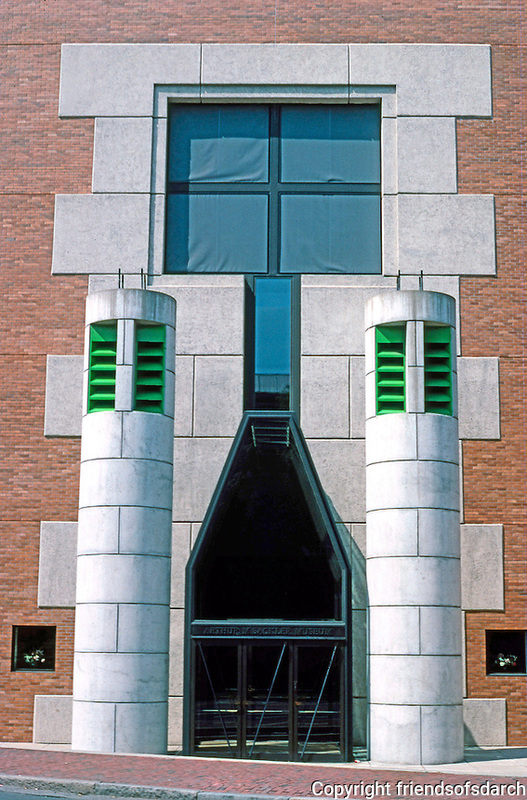 James Stirling & Michael Wilford Assoc. : Sackler Museum, Harvard--Entrance. Echoes of the Lion Gate at Mycenae?